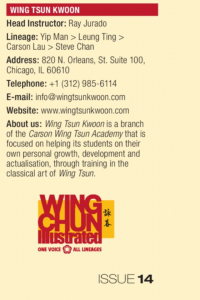 We are now listed in the school directory of Wing Chun Illustrated Magazine! 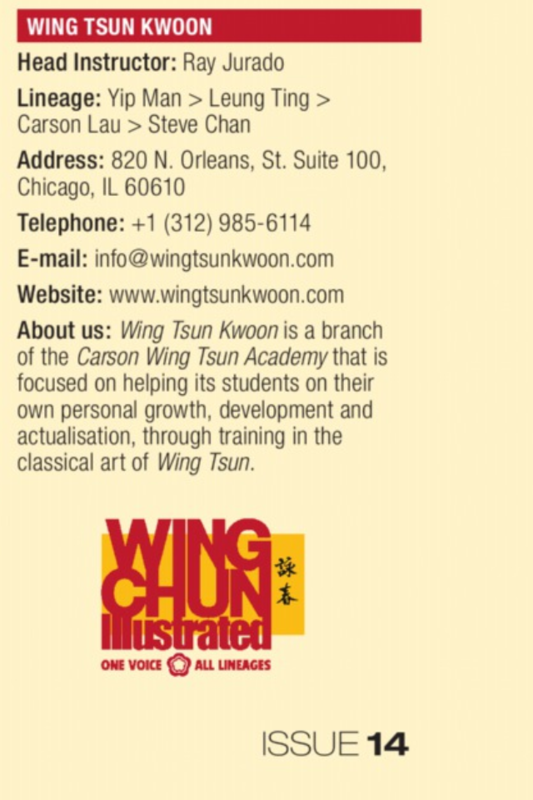 Wing Chun Illustrated Magazine is the world’s only magazine dedicated to the art of Wing Chun, regardless of lineage or style. The magazine is available in print, iOS, Kindle Fire, and Desktop. Grab a copy or subscription today!